If only battery voltage is present at the battery on a running engine, does this mean the alternator is “bad?” No, it does not. It only means that the alternator is not charging, but does not reveal why. Therefore, it does not prove a faulty alternator. All too often, the alternator is condemned by technicians due to this test alone. 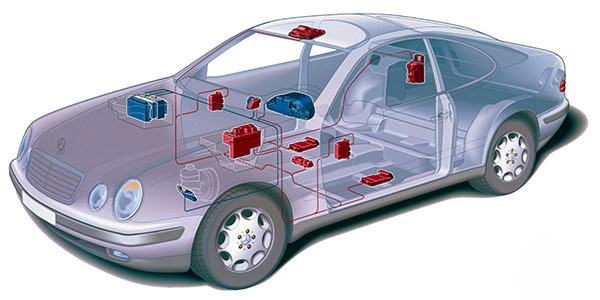 The cause could be a module that distributes the power to the vehicle and regulates the alternator. For some, it’s normal to see as high as 16 volts for long periods at a time. For others, it’s normal to see as low as 13 volts. For some, a constant 13.6 volts is an indication of a problem. Still, it’s perfectly normal for others to see the alternator intermittently not charge at all. Some alternators are controlled only with an internal or external regulator. Some are controlled only by the PCM. Still others are controlled by a voltage regulator and the PCM. Not knowing what controls what, and how it is supposed to function, can’t cause a misdiagnosis or cause a critical problem to be overlooked. Take the time to look at the service information. It is a bad practice to use the positive and negative battery terminals to power aftermarket accessories on some vehicles. The extra connections can cause the battery to incorrectly report the state of discharge, despite a normal battery condition. This can cause the battery to be overcharged and/or codes to be set that may cause the charging light on the instrument cluster to illuminate. If communications were lost between the PCM and alternator, the PCM would turn on the battery light, but the regulator would still charge the alternator at about 13.6 volts. 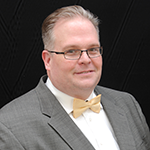 The PCM would set a trouble code relating to that loss of communication. Imagine trying to diagnose a battery light that doesn’t appear to have any reason to be on. That is, it doesn’t appear to have a valid reason until a scanner is added to the testing. Although load-testing an alternator provides a quick way to test for drive belt slippage, keep in mind that an alternator can easily be overheated when testing for maximum output during low-speed operation for an extended period. Most alternators will not be able to keep up with the load when idling, and the lack of cooling compounds the problem even further. Because new batteries typically test as much as 25% higher than their rated capacities, a recently replaced battery with a bad cell can occasionally pass both a conductance and a load test specifications. The better option is to measure the voltage drop when the engine is cranked. Because standard charging voltage can’t be achieved on a battery with a bad cell, the alternator will overcharge the remaining cells and boil the electrolyte. At the other extreme, a battery that is sulfated due to being undercharged or not seeing constant use will maintain normal charging voltages. 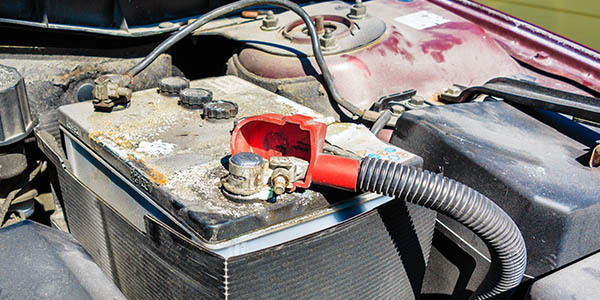 The symptoms of a sulfated battery are that it charges very quickly and produces a very low amperage discharge rate. Another factor is vibration that can destroy the connections between the cells. Many late-model vehicles use a decoupler pulley on the alternator. These new pulleys allow the alternator to “free-wheel” or “overrun” when the belt suddenly slows down. This prevents the belt from slipping and reduces vibration. Best of all, the system needs less tension and even a narrower belt can be used. This can result in a 1.5% to 2% fuel economy improvement. However, these pulleys have a limited lifespan due to how they operate internally. As a rule, the key-off current drain on most late-model vehicles should be less than 50 milliamps (mA). But on some cars, it might be normal to have even greater draws for up to 10 minutes after the keys have been removed from the ignition. During this period, the serial data buses could be communicating and performing some digital housekeeping. Also, systems like air ride, the evaporative emissions system and auxiliary water pumps could still be active long after the vehicle has been parked. This is why on some modern vehicles’ service information, an OBDII breakout box and a scan tool are necessary to solve some intermittent parasitic power drains. 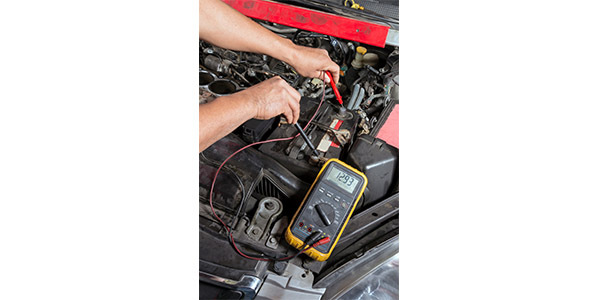 If you don’t see at least 13.5 volts when you check charging voltage at the battery with the engine idling, check the wiring connections at the alternator — not just visually or by wiggling the wires or connectors, but check for excessive resistance by doing a voltage drop test. 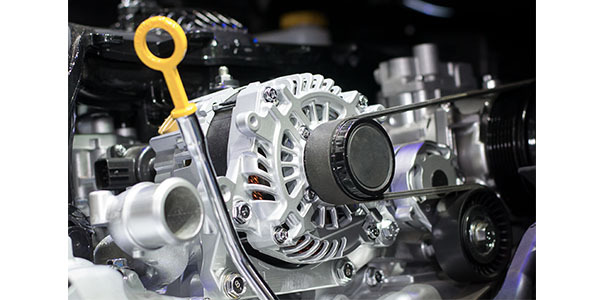 Many so-called alternator problems turn out to be nothing more than a bad connection at the alternator or a bad wiring harness. On many vehicles, the PCM is controlling the duty cycle of the alternator. It is managing the amps and voltages in finer increments than can be measured by a simple meter, so that current is supplied more efficiently. These changes might be just 10 milliamps, so connections to the regulator are critical. You cannot afford a mediocre connection. Automatic transmissions with five or six speeds can drastically reduce engine speed when cruising. Many modern engines operate well under 2,000 rpm until they reach highway speeds of about 60 to 70 mph. Consequently, if the alternator doesn’t maintain rated charging voltage at lower engine speeds, the battery will discharge under heavy accessory loads. In most cases of undercharging, the alternator may have an incorrect diameter pulley installed, the drive belt may be slipping, or the alternator itself might be under capacity for the vehicle application. Depending upon ambient temperature, charging voltage generally varies between 14.8 and 13.5 volts. The actual charging voltage designed into a voltage regulator is dependent upon factors such as how far the alternator is located from the battery and the ambient air temperature surrounding the battery as calculated by the PCM. 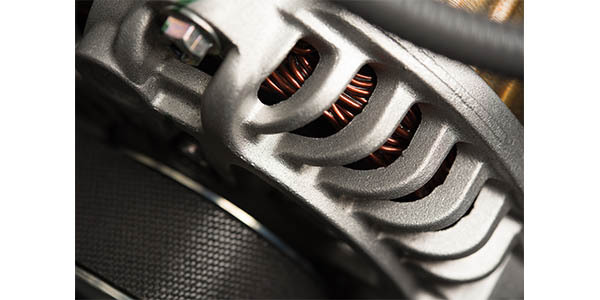 Under normal operating conditions, an alternator should maintain about 14.2 volts at 70° F ambient air temperature.